The Indian merger control regime came into effect on 1 June 2011 with the notification of Sections 5 and 6 of the Competition Act 2002 (the Competition Act). The regime is governed by the Competition Act, notifications issued by the Ministry of Corporate Affairs, Government of India (MCA) and the Competition Commission of India (Procedure in regard to the transaction of business relating to combinations) Regulations 2011, as amended up to 8 January 2016 (the Combination Regulations). Under the Indian merger control regime, a 'combination' (i.e., an acquisition, merger or amalgamation) must be notified to and approved by the Indian competition authority, the Competition Commission of India (CCI), if it breaches the prescribed asset and turnover thresholds and does not qualify for any exemptions. The requirement to notify the CCI is mandatory and such combinations are subject to a standstill or suspensory obligation. Where a combination causes or is likely to cause an appreciable adverse effect on competition (AAEC) within the relevant market in India, the combination is void. By 31 March 2018, the CCI had cleared 515 combinations, with a vast majority within the 30-working-day Phase I period. To date, the CCI has cleared five combinations subject to remedies after a detailed Phase II investigation, but so far has never outright blocked a combination. 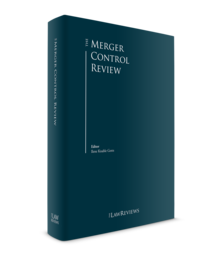 In this chapter we give a brief overview of the recent trends in Indian merger control, including key amendments to the Combination Regulations and then outline the circumstances under which parties to a transaction are required to notify the CCI, and the factors taken into account by the CCI when determining whether a combination is likely to cause an AAEC. The past year has seen the CCI increasingly assert itself in relation to both procedural and substantive matters relating to merger reviews. Up until 31 March 2018, the CCI cleared 515 combinations in various industries such as telecommunications, agro-chemicals, pharmaceuticals, aviation, manufacturing, information technology, financial services, banking and broadcasting. The landscape of the Indian merger control regime is shifting rapidly due to the frequent amendments to the Combination Regulations. On 27 March 2017,2 MCA issued a notification (the March 2017 notification) that (1) extended the scope of the de minimis exemption to mergers as well; (2) limited the value of assets and turnover in the transfer of a portion of an enterprise (i.e., in an asset sale), to only the value of the assets and turnover of such a portion of the enterprise, division or business being transferred; and (3) maintained the increased value of the jurisdictional thresholds under the Competition Act. These changes are far-reaching and very welcome. The March 2017 notification does away with the artificial distinction based on form, between transactions structured as 'acquisitions' and 'mergers and amalgamations' and instead, looks to the substance. In sum, the de minimis exemption will now be available to all types of combinations, irrespective of the manner in which they are structured. It clarified the basis for computing the value of assets and turnover attributable to assets in asset sales. It also extended the application of the de minimis exemption until 29 March 2022. On 31 March 2017, the Finance Act 2017 (the Finance Act) was notified in the official gazette, and sought to dissolve the Competition Appellate Tribunal (COMPAT). The Finance Act has since become effective on 26 May 2017 and all the powers and duties of the COMPAT have been transferred to the National Company Law Appellate Tribunal (NCLAT). As a result, over 50 cases pending with the COMPAT as of 26 May 2017 have been transferred to the NCLAT. Such cases are being heard afresh by the NCLAT. Subsequently, on 29 June 2017 the MCA issued another notification (the June 2017 notification) that does away with the requirement to necessarily notify a combination within 30 calendar days of the trigger event. The measure has been taken to alleviate the concerns of stakeholders who felt constrained by the deadline stipulated under the Competition Act. Importantly, the June 2017 notification puts an end to the possibility of penalties for delayed filing. Transacting parties will no longer be constrained to decide on the strategy, collect information and make the filing within the short window of 30 calendar days. Parties to global transactions requiring notification in multiple jurisdictions can now make the filing in India contemporaneous with other jurisdictions. The June 2017 notification will not only help the parties align their strategy, but also help the CCI align its review timelines with other jurisdictions. Notably, the requirement to file a notice with the CCI is still mandatory and the suspensory regime (i.e., requirement to receive CCI approval prior to closing) still applies. Accordingly, any breach of these requirements will still lead to penalties under Section 43A of the Act. However, removal of a 30-day deadline makes it significantly easier for businesses to comply with the merger notification requirement in India and is in line with international best practices in merger control. On 4 April 2018, the Union Cabinet, chaired by the Prime Minister, approved a proposal to reduce the number of members in the CCI from one Chairperson and six members to one Chairperson and three members, by not filling in the current and expected vacancies.3 The Union Cabinet cited the reduction in the CCI's case load resulting from the revision of the de minimis thresholds as the primary factor behind this decision. A 'combination' is any acquisition, merger or amalgamation that meets certain asset or turnover thresholds, under Section 5 of the Competition Act. The asset and turnover thresholds applicable to combinations comprise two tests, which are applicable to the immediate parties to the transaction and separately to the group to which the target or merged entity (as the case may be) will belong, and have both Indian and worldwide dimensions. Every combination must mandatorily be notified to the CCI, unless the parties are able to take advantage of any of the exemptions provided in the Competition Act, the Combination Regulations or the Notification6 issued by the MCA. These exemptions are as follows. The requirement of mandatory notification prior to completion does not apply to any financing facility, acquisition or subscription of shares undertaken by foreign institutional investors, venture capital funds, public financial institutions and banks pursuant to a covenant of an investment agreement or a loan agreement. Such transactions need to be notified in the simpler and shorter Form III within seven days of the date of acquisition. acquisition of shares, control, voting rights or assets by a purchaser approved by the CCI pursuant to and in accordance with its order under Section 31 of the Competition Act. Transactions where the target enterprise either holds assets of less than 3.5 billion rupees in India, or generates turnover of less than 10 billion rupees in India, are currently exempt from the mandatory pre-notification requirement. Pursuant to the March 2017 notification the exemption has been extended to mergers and amalgamations as well (it was previously applicable only to transactions structured as acquisitions). Pursuant to the March 2017 notification, in the transfer of a portion of an enterprise, division or business (i.e., in an asset sale), the applicability of the thresholds under Section 5 of the Competition Act and the de minimis exemption is limited to only the value of the assets and turnover of such a portion of enterprise, division or business.8 The pre-amendment position required the value of the assets and turnover of the entire target enterprise to be taken into consideration for the de minimis exemption to apply. Further, the exemption is valid until 29 March 2022 unless it is further extended. The acquisition of control or a shift from joint to sole control is an important determinant for whether exemptions relating to minority investments and intra-group reorganisations are applicable. Under the Competition Act, 'control' includes 'controlling the affairs or management by (1) one or more enterprises, either jointly or singly, over another enterprise or group, (2) one or more groups, either jointly or singly, over another group or enterprise'. There is no 'bright line' shareholding percentage identified as conferring control. The CCI has examined the issue of what constitutes 'control' in several cases. In SPE Mauritius/MSM Holdings,9 the CCI held that veto rights enjoyed by a minority shareholder over certain strategic commercial decisions might result in a situation of joint control over an enterprise. These rights include engaging in a new business or opening new locations or offices in other cities; appointment and termination of key managerial personnel (including material terms of their employment); and changing material terms of employee benefit plans. In Century Tokyo Leasing Corporation/Tata Capital Financial Services Limited,10 the CCI observed that veto rights could create a situation of control over when they pertain to approval of the business plan, approval of the annual operating plan (including budget), discontinuing any existing line or commencing a new line of business, and the appointment of key managerial personnel and their compensation. In Caladium Investments/Bandhan Financial Services,11 the CCI expanded the scope of such affirmative rights to include veto rights over amendments to charter documents, changes in capital structure, changes to dividend policy and appointment of auditors in the list of rights that could be seen as leading to joint control. Interestingly, in the Jet/Etihad case,12 the CCI came to the conclusion that the acquisition of 24 per cent of the equity share capital of Jet Airways (Jet) by Etihad Airways (Etihad) allowed Etihad to exercise joint control over the assets and operations of Jet. The CCI determined that the terms of the agreements entered into between Jet and Etihad, along with a governance structure that allowed Etihad to appoint two out of six directors (including the vice-chair) on the board of directors of Jet, allowed Etihad to exercise 'joint control' over Jet. Notably, the Indian capital markets regulator, the Securities and Exchange Board of India (SEBI) differed on this issue, going on to say that under the SEBI (Substantial Acquisition of Shares and Takeovers) Regulations 2011 (the Takeover Code), the definition of 'control' is narrower than that under the Competition Act and, therefore, that the acquisition does not grant 'joint control' of Jet to Etihad. Investors therefore need to keep in mind that even minority investments could be seen as an acquisition of control and trigger a notification if the thresholds in the Competition Act are met. This could extend to entirely innocuous financial investments. One of the common ways in which investors choose to do business in India is by way of joint ventures (JVs) with Indian counterparts. These joint ventures may be 'greenfield' (i.e., through the setting up of an entirely new enterprise) or 'brownfield' (i.e., via an investment in an existing enterprise). The Competition Act does not specifically deal with JVs from a merger control perspective. However, as setting up a greenfield JV or the entry of a new partner in a brownfield JV involves the acquisition of shares, voting rights or assets, such acquisition may require notification to the CCI, if the jurisdictional thresholds are met and are not otherwise eligible for any exemption. A greenfield JV would involve the setting-up of a new enterprise, which by itself will not have sufficient assets or turnover to trigger a notification. Prior to the March 2017 notification, where any of the parent companies to the JV transfer assets to the JV at the time of incorporation, a merger filing may have been triggered on account of the anti-circumvention rule in Regulation 5(9) of the Combination Regulations. The anti-circumvention rule requires that where, in a series of steps or individual transactions that are related to each other, assets are being transferred to an enterprise for the purpose of such enterprise entering into an agreement relating to an acquisition or merger or amalgamation with another person or enterprise, for the purpose of Section 5 of the Act, the value of assets and turnover of the enterprise whose assets are being transferred shall also be attributed to the value of assets and turnover of the enterprise to which the assets are being transferred. In such an event, despite the fact that the newly created joint venture may not itself have any assets or turnover, the acquisition of shares, voting rights or assets in the joint venture may require a notification to the CCI. However, the March 2017 notification clarifies that when only a portion of an enterprise, division or business is involved in a transfer (i.e., in an asset sale), then only the value of the assets and turnover of such portion of enterprise, division or business should be considered and not the value of assets and turnover of the entire enterprise housing the relevant business, division or portion. The March 2017 notification therefore has created uncertainty over the application of the anti-circumvention rule. As a general matter, the principles of statutory interpretation require a harmonious construction between the substantive provisions of an enabling statute and a rule or any other form of delegated legislation. As such, any delegated legislation has to be read and construed consistent with the enabling statute. Accordingly, the anti- circumvention rule (provided under the Combination Regulations which is delegated legislation by the CCI) should be construed in light of, and consistently with, the provisions of the March 2017 notification (enacted by the government of India). Interestingly, the Combination Regulations also contains a 'substance test' whereby the CCI can look beyond a transaction structure and assess whether the substance of the transaction would trigger a notification requirement to the CCI. Consistent with practices in other jurisdictions, the CCI first determines the relevant market or relevant markets, and in that context considers the competitive effects of the combination. It then considers a number of non-exhaustive factors set out in the Competition Act to determine whether the combination is likely to cause an AAEC. In turn, a relevant product market is defined as a market comprising all those products or services that are regarded as interchangeable or substitutable by the consumer, by reason of characteristics of the products or services, their prices and intended use.16 Notably, the CCI is only required to consider products or services that are interchangeable or substitutable by consumers. Therefore, the CCI is not required to consider supply-side substitutability in determining the relevant product market. The CCI has used economic tools such as the Elzinga-Hogarty test and chains of substitution18 in certain cases to determine the scope of the relevant market, but this is more the exception than the rule. The CCI's analysis has focused on whether a combination is likely to cause an AAEC in India, even in cases where parties may have proposed global markets, or where markets are import-driven. An interesting development in the Indian merger control regime has been the perceptible shift in the CCI's initial 'soft attitude' in clearing mergers. Initially the CCI did not use its powers to direct modifications to the terms of transactions or impose commitments to ensure compliance with the provisions of the Competition Act. Recently, the CCI has formally approved five different combinations subject to modifications in the form of structural and behavioural commitments, even though there are no formal guidelines on merger remedies as yet. In several cases, modifications have been volunteered by the parties themselves in the Phase I stage, rather than being directed by the CCI.20 In Mumbai International Airport Private Limited/Oil PSUs21 the parties offered various behavioural remedies voluntarily on the basis of which approval was granted by the CCI. In Elder Pharmaceutical/Torrent Pharmaceuticals,22 the CCI approved the transaction after the parties agreed to modify the scope of a non-compete clause in the agreement and reduce its scope from five to four years. Similarly, in Agila Specialities/Mylan Inc,23 Tata Capital/TVS Logistics,24 Clariant Chemicals (India) Limited/Lanxess India Private Limited25 and Advent International Corporation/MacRitchie Investments Private Limited26 the CCI approved the transaction only after the parties undertook to reduce the term of the non-compete clause. In Orchid Chemicals and Pharmaceuticals Ltd/Hospira,27 the CCI acknowledged that a non-compete clause is essential to acquire the full value of the asset, however, the clause must be reasonable in its application. The Guidance Note28 issued by the CCI on non-compete restrictions, will also certainly serve parties as an important tool in drafting non-compete restriction clauses. In most previous decisions, the CCI's approach to modifications was primarily limited to non-compete obligations. However, more recently, in St. Jude Medical Inc/Abbott Laboratories29 the parties offered voluntary structural remedies through divestment of assets. In China National Chemical Corp/Syngenta AG,30 the CCI granted an approval subject to a remedy proposal offered by the parties wherein they voluntarily agreed to treat two of their respective Indian subsidiaries as separate independent businesses for seven years, in addition to divestment of three formulated crop protection products sold by Syngenta in India. In Dish TV/Videocon,31 the CCI granted an approval in spite of the combined entity's market share accumulating to 45 per cent in the market for DTH services in India. The CCI noted the possible customer apprehensions regarding the customer of each party having to bear the cost of technical realignment. However, the CCI was satisfied with the voluntary commitments offered by the parties that included (1) bearing the cost of such realigning and re-configuring the antennas installed by customers to make it compatible with the transponders; and (2) bearing the cost of the antenna and set top box that may be required to be changed as a result of the transaction. Additionally, the CCI observed the ease of switching by consumers, constraints from other modes of distribution of TV content, presence of a sectoral regulator, expected entry of new players and accordingly granted the approval. In Sun/Ranbaxy,32 Holcim/Lafarge33 and PVR Cinemas/DT,34 the CCI approved the transactions on the condition that certain assets of the parties involved in these transactions would be divested to third parties to prevent AAEC in the relevant markets identified. Interestingly, the CCI also issued a revised divestment order in Holcim/Lafarge after the original divestment process ran into regulatory hurdles.35 The CCI recently approved the Dow/DuPont36 transaction subject to divestment of assets, cancellation of certain trademarks and a commitment that the parties would not enter the market for Flusilasole, a fungicide (the underlying active ingredient and formulations) for a certain duration, and also sell off their 'MAH grafted polyethylene' business. In Agrium/Potash,37 the CCI directed divestment of PotashCorp's shareholding in three companies (divestment assets) as well as a commitment to not acquire stake in the divested businesses for a period of 10 years. the execution of any agreement or other document for the acquisition of shares, voting rights, assets or control. Further, the CCI has made it mandatory for parties to file a single notification for 'interconnected' transactions, one or more of which may be a combination. What constitutes 'interconnected' is somewhat vague, and is essentially determined by the CCI on a case-by-case basis. Interconnected transactions do not need to have any causal link or interdependence. Moreover, there is no time limit under the Competition Act or the Combination Regulations within which the CCI would consider transactions to be inter-connected (unlike in the EU), though the CCI does not consider transactions notifiable prior to 1 June 2011, the date on which the Indian merger control provisions came into force. Parties have the option of notifying the CCI in either Form I, which is the default short-form notification, or in Form II, the more detailed long-form notification, where the parties have a horizontal overlap of over 15 per cent or a vertical overlap of over 25 per cent. In a recent round of amendments to the Combination Regulations, the CCI has overhauled the format of Form I, streamlining it and introducing accompanying guidance notes to assist parties in filing Form I. Once notified, the CCI is bound to issue its prima facie opinion within 30 working days of filing, not accounting for 'clock stops', namely, when the CCI asks for additional information or directs parties to correct defects in their submissions. However, the CCI is also bound to issue its final order within 210 calendar days, even though the Combination Regulations provide that the CCI will 'endeavour' to pass relevant orders or directions within 180 days. In practice, the CCI has cleared the vast majority of all transactions within 30 working days (excluding 'clock stops'), thus giving positive signals to the business community. if the transaction was notified in Form I, but the CCI is of the view that the transaction ought to have been notified in Form II (in this case, the CCI returns the Form I notification and directs parties to re-file in Form II). While the CCI has the discretion to grant notifying parties a hearing before it determines to invalidate a notification, it is not mandatory for the CCI to do so. Further, the time taken by the CCI to arrive at such decision is excluded from the review clock. The CCI appears to have used this power for invalidation in a technical fashion. In BNP Paribas/Sharekhan,41 the CCI invalidated a notification on the technical ground that the individual who signed the notification on behalf of the notifying party was not properly authorised to do so. In GE/Alstom,42 the CCI directed the parties to re-file the notification entirely in Form II (even for markets where there was insignificant overlap), as they had provided more detailed Form II level information only where overlaps were in excess of the market-share thresholds prescribed under the Combination Regulations. The June 2017 notification puts an end to the possibility of penalties for delayed filing. Transacting parties will no longer be constrained to decide on the strategy, collect information and make the filing within the short window of 30 calendar days. However, failure to file before implementation of the transaction continues to allow the CCI to impose a penalty of up to 1 per cent of the assets or turnover of the combination, whichever is higher. The maximum penalty imposed to date is 50 million rupees each in Piramal Enterprises/Shriram43 and GE/Alstom44 – both penalties were much lower than the statutory upper limit. Confidential information and documents contained in merger filings and subsequent submissions are not automatically granted confidential treatment by the CCI. The notifying parties are required to specifically identify such information and make a request for confidential treatment for an identified time period. The CCI usually grants confidential treatment only over commercially sensitive or price-sensitive information or business secrets, the disclosure of which would cause commercial harm to the notifying parties and typically for not more than three years. However, it should be noted that the CCI, being a statutory body, is subject to the (Indian) Right to Information Act 2005 (the RTI Act), through which citizens can secure access to information in control of public authorities. While, legally, the CCI is required to provide access to citizens, confidential information provided by parties falls within an exemption under the RTI Act and it is therefore likely that these in-built safeguards in the RTI Act, coupled with the CCI's own confidentiality regime, will be sufficient to assuage industry concerns in this regard. On 26 May 2017, all the powers and duties of the COMPAT, were transferred to the NCLAT. As a result, decisions of the CCI may be challenged before the NCLAT, by any person aggrieved by that decision, including the central government, state government, a local authority or an enterprise. A further appeal from any order of the NCLAT lies to the Supreme Court of India. Regarding gun-jumping and belated filing penalties, the COMPAT upheld the penalty imposed by the CCI on Piramal for failing to notify three interconnected transactions.50 In CCI v. Thomas Cook, the Supreme Court recently dismissed the order of the COMPAT that had overturned the penalty imposed by the CCI on Thomas Cook for alleged gun jumping.51 The Supreme Court held that there was no requirement of mens rea under Section 43A of the Competition Act or intentional breach as an essential element for levying penalties. The Supreme Court further emphasised that technical interpretation to isolate two different steps of transactions of a composite combination was against the spirit and provisions of the Competition Act. Notably, Eli Lilly & Company's appeal to the COMPAT against the penalty imposed by the CCI for belated filing now lies before the NCLAT.52 The penalty was imposed on Eli Lilly on the basis that the relevant trigger document in the transaction was the global sale agreement, and not the local sale agreement that was signed after the global sale agreement. The final decision in this appeal is still pending. Since the coming into force of the Indian merger control regime, the CCI has entered into cooperation agreements and memoranda of understanding with several of its overseas counterparts, including the FTC, the EC, the Australian Competition and Consumer Commission and the Russian Federal Anti-Monopoly Service. Through such agreements, the CCI has sought to strengthen international cooperation and share information related to fair trade practices. The CCI has demonstrated its intention to reach out to and coordinate with global regulators in the recent past, especially in multi-jurisdictional filings. Given the multi-jurisdictional nature of global transactions, the CCI has become an important regulator to factor in given its length of review and substantive assessment of the filings made before it. One of the key features of the CCI's review in the past year is that it has considered transactions in the context of consolidation in the sector in which a transaction has taken place and this has generally entailed a more detailed review of all filings notified in the sector. As evident from the CCI's decisional practice in the pharmaceutical, agro-chemical and industrial gas sectors,53 the CCI is increasingly examining transactions in sectors that are sensitive to the Indian political economy with greater scrutiny. Further, parties to competitively significant global transactions should factor in longer review timelines and the possibility of divestitures to attain the CCI's approval. For example, the Linde/Praxair54 merger, which is still under review, was filed three times with the CCI (the parties' notification was withdrawn once and invalidated the next time). The CCI has been faced with complex transactions in the telecommunications and agrochemical sectors but has proved itself to be a proactive and important regulator despite being critically understaffed. The amendments to the Combination Regulations have been a significant and welcome development in the past year. These amendments will likely mean that the CCI will not review 'no issues' cases that were previously notifiable and will focus its attention on only those transactions that involve more in-depth competition law analysis. Also, transacting parties will be able to provide complete notifications to the CCI without the pressure of filing in 30 working days. With the introduction of the Insolvency and Bankruptcy Code 2016 (IBC), the new legislation aimed at streamlining insolvency procedures, the CCI has had to deal with transactions executed pursuant to the IBC process that must adhere to accelerated completion timelines. To its credit, even in the absence of any formal obligation to do so, the CCI appears to have prioritised the review of such transactions. The CCI has taken steps towards adapting its processes to best practices and applying lessons learned in more mature merger control jurisdictions. Although the Indian merger control regime remains relatively new, the CCI's evolution over the past year shows a propensity for continuous development, in keeping with an overall objective to facilitate the concerns of notifying parties while asserting its role in developing competition law jurisprudence. 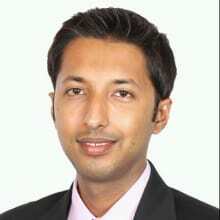 1 Rahul Rai is a partner, Shashank Sharma is a senior associate, and Shivam Jha is an associate at AZB & Partners. 2 Government of India Notification dated 27 March 2017, S.O. 988(E). These are effective from 29 March 2017. 4 Sections 5(a)(i), Section 5(b)(i) and Section 5(c)(i) of the Competition Act, read with the notification SO 675(E) dated 4 March 2016 issued by the MCA. 5 Section 5(a)(ii), Section 5(b)(ii) and Section 5(c)(ii) of the Competition Act, read with the notification SO 675(E) dated 4 March 2016 issued by the MCA. 6 Government of India Notification dated 27 March 2017, S.O. 988(E). (B) the Acquirer is not a member of the board of directors of the enterprise whose shares or voting rights are being acquired and does not have a right or intention to nominate a director on the board of directors of the enterprise whose shares or voting rights are being acquired and does not intend to participate in the affairs or management of the enterprise whose shares or voting rights are being acquired. 8 Government of India Notification dated 27 March 2017, S.O. 988(E). 9 C-2012/06/63, dated 9 August 2012. 10 C-2012/09/78, dated 4 October 2012. 11 C-2015/01/243, dated 5 March 2015. 12 C-2013/05/122, dated 12 November 2013. 13 Independent Media Trust, C – 2012/03/47, dated 28 May 2012. 14 Section 6(1) of the Competition Act. 15 Section 2(r) of the Competition Act. 16 Section 2(t) of the Competition Act. 17 Section 2(s) of the Competition Act. 18 Holcim/Lafarge, C-2014/07/190, dated 30 March 2015. 19 C-2016/07/414, dated 9 August 2016. 20 Regulation 19(3) of the Combination Regulations. 21 C-2014/04/164, dated 29 September 2014. 22 C-2014/01/148, dated 26 March 2014. 23 C-2013/04/116, dated 20 June 2013. 24 C-2015/06/286, dated 29 July 2015. 25 C-2016/02/373, dated 11 May 2016. 26 C-2015/05/270 dated 12 June 2015. 27 C-2012/09/79, dated 21 December 2012. 29 C- 2016/08/418, dated 13 December 2016. 30 C-2016/08/424, dated 16 May 2017. 31 C-2016/12/463, dated 4 May 2017. 32 C-2014/05/170, dated 5 December 2014. 33 C-2014/07/190, order dated 30 March 2016. 34 C-2015/07/288, dated 4 May 2016. 35 C-2014/07/190, order dated 7 April 2016. 36 C-2016/05/400, dated 8 June 2017. 37 C-2016/10/443. dated 27 October 2017. 38 Government of India Notification dated 29 June 2017, S.O. 2039(E). 39 C-2015/01/241, penalty order dated 16 February 2016. 40 Regulation 5(8) of the Combination Regulations. 41 C-2015/12/354, dated 22 December 2015. 42 C-2015/01/241, dated 5 May 2015. 43 C-2015/02/249, penalty order dated 26 May 2015. 44 C-2015/01/241, penalty order dated 16 February 2016. 45 Appeal No. 26 of 2016, order dated 13 April 2016. 46 C-2013/05/122, dated 12 November 2013. 47 Appeal No. 44 of 2013, dated 27 March 2014. 48 Appeal No. 06 of 2016, dated 27 January 2016 and Appeal No. 43 of 2016, dated 5 September 2016. 49 TA (AT)(Competition) No. 32 of 2017 (Old Appeal No. 43/2016). 50 Appeal No. 37 of 2016, order dated 16 November 2016. 51 Civil Appeal No. 13578 of 2015, dated 17 April 2018. 52 Transfer Appeal (AT) (Competition) No. 3 Of 2017 (Old Appeal No. 44 Of 2016). 53 See ChinaChem/Syngenta, Dow/Dupont, Linde/Praxair (C-2018/01/545). The merger notification for the combination of Linde and Praxair has already been withdrawn by the parties once and invalidated once by the CCI. A new notification has been filed as of 2018.